The experienced WPL midfielder signed for the club from Aberystwyth Town in June 2018. 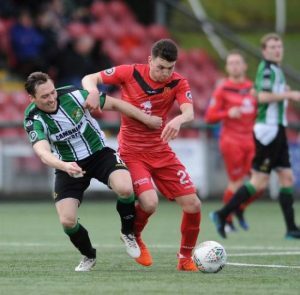 Allen, who spent seven seasons at Bangor City before joining Aber in January 2018, has over 160 appearances in the league to his name. Prior to his time in Wales, Allen played for Stockport County, where he graduated from their centre of excellence. He also spent time at Royal Antwerp, Morecambe, Bury, Halifax Town and Colwyn Bay.